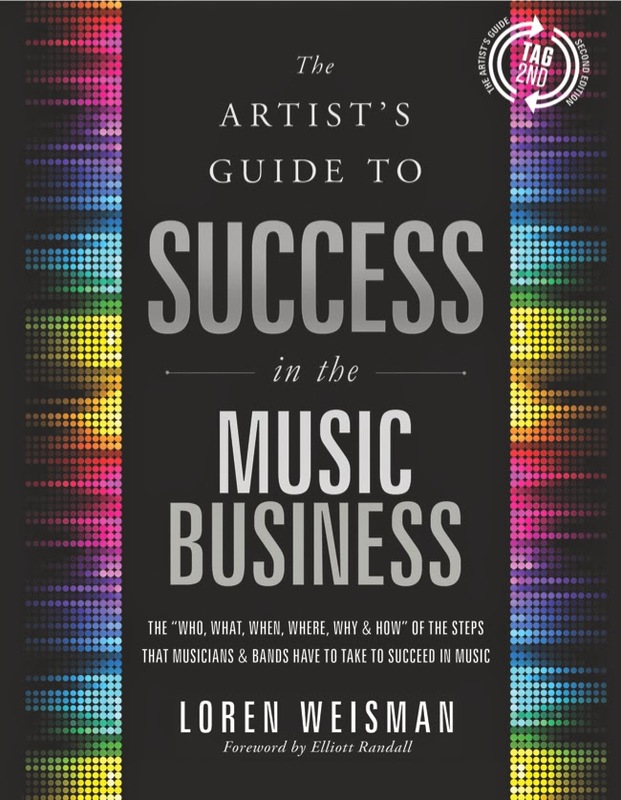 Today we are interviewing Loren Weisman, author of the The Artist's Guide to Success in the Music Business. 20 plus years in the music industry as a drummer, music producer and a consultant with over 700 album credits, TV production credits for three major networks and a world of experiences in both the highs and the lows of the music business. A guide to help artists, musicians, managers, record labels and anyone interested in the music industry format the best path and best approach for them. Not a step by step, but more of a guide that helps you choose the best route based on who you are, what you have and how you are approaching music. What inspired you to write The Artist’s Guide to Success in the Music Business? Watching so many mistakes being made by up and coming artists that work off many of the delusions of the industry as well as many claiming to have all the answers when they have never had a career in music made me want to do something to help and to guide artists in the right way as well as point out what to watch out for and what to avoid. Beginners to pros, parents of musicians, girlfriends and boyfriends of musicians and even hobbyists that enjoy the business side. The marketing section could work for any business too. What do you think is the biggest hurdle artists face in the music business that keeps them from turning their passion into their profession? Themselves and their egos. All too often the expectations of a lightning bolt to strike and someone else to magically handle all the details is prevalent. The best thing a musician can do for themselves is to educate themselves on the business side, while asking the questions and not trying to take the route of American Idol or the first deal that comes along. Do you think social media and other new platforms have changed how artists must market themselves? Absolutely. But it has also oversaturated the market. Musicians today need to think about engagement and connection, not just trying to get 100,000 twitter followers. Conversion is key when it comes to social media. All businesses that think content, engagement and conversion while working to entice new fans as they post materials that existing fans can enjoy will do the best. The music business has had its dark side since its beginnings in the classical days. Mozart’s wife, in a way, was the first music distributor. In your book, you talk about working with investors in the music business. For many people just starting out in the industry, this is sometimes a very foreign concept. Can you share the basics of this for readers who are unfamiliar? Most likely you will not have all the funds needed to start your career the right way, the consideration of how you look to investors and forming a basic music business plan can help to both achieve that funding as well as protect your profits too. Its a tricky world, but looking from the stand point of the investor helps a lot of musicians get the funds they need. You also share your knowledge of the music industry through consulting. How can people find out more about this? People can visit http://artistsguide.net/ or http://lorenweisman.com and click on the consulting form. By filling it out, I give a free 15 minute consult with each musician, management group, able or business to see if we would be a good fit for each other as well as being able to define exactly what is needed. Your new book, Music Business for Dummies, comes out in late spring. Can you tell us a bit more about this project? Wiley and Sons has commissioned me to write Music Business for Dummies. It has been a blast. It takes a different approach than The Artist's Guide and has been a lot of fun to put together. The For Dummies book will introduce and explain a great deal of the fundamentals for beginners that will lead them in to finding out more as well as potentially grabbing a copy of The Artist's Guide which is more in depth. I hope it will reach each person in their own way. Whether refreshing some ideas for the experienced musician, connection ideas for the aspiring musician or introduce ideas for the beginner, I think that the impact is different for each person that reads the book. I don’t think any one person needs everything in the artists guide, but I think everyone can take away a chapter, a section or parts that can help them, help themselves. Is there anything else you'd like to share with potential readers? Be patient with your career and be prepared to work harder than you ever have before, but it is absolutely worth it, if it is your dream and your desire to be in music.